The hamstrings are a group of four muscles on the back (posterior) part of the thigh (femur), which are important for hip extension and knee flexion. The four muscles include the semitendinosus, semimembranosus and the long and short head of the biceps femoris. Proximal hamstring tears involve tearing of one or more of the hamstring tendons from their attachment to the ischial tuberosity, located deep in the gluteal fold. Injuries to the hamstring are generally acute in nature; more common in athletes involved in soccer, baseball and gymnastics. Proximal hamstring tears may cause persistent pain located in the gluteal fold or buttock with prolonged sitting. They may also cause weakness and limping. For acute and traumatic injuries, surgery is generally recommended. 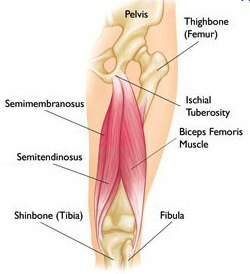 For chronic hamstring injuries, physical therapy and injections in the ischial tuberosity may provide relief. 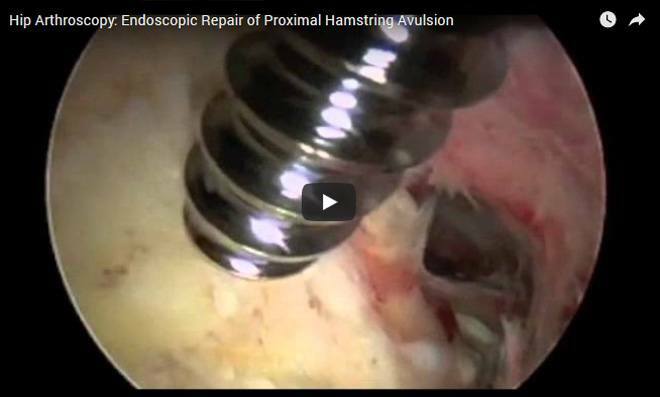 In many cases, a torn proximal hamstring can be repaired endoscopically by sewing the torn part of the hamstring tendon back to the bone using tiny suture-anchors. This procedure has a high success rate in treating pain, and restoring strength to the hamstring muscles. 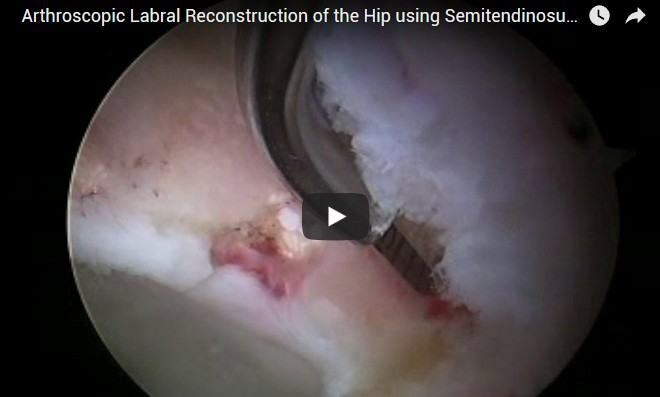 If the tear is too large or too retracted, an open hamstring repair may be undertaken. Similar anchors are used to stabilize the repair or the tendon to the bone. Postoperative recovery for a proximal hamstring repair involves 6 weeks of restricted weight bearing with crutches or an assisted device and 6 weeks in a hip brace. This protects the repair during the early healing phases. Additional bracing may be required depending on the case. Physical therapy will also be important in he postoperative course to regain strength and condition the hamstring muscles and restore hip function.